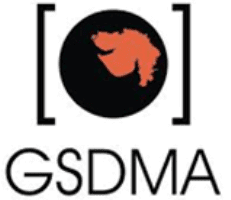 Gujarat State Disaster Management Authority - GSDMA published an official notification for Recruitment of Manager & Consultant posts. Eligible candidates can apply for this recruitment. You can view more details about this recruitment including No. of posts, name of post, Educational qualification, Age limit, Selection process, How to apply etc... You can also view official notification and other important facts about this recruitment e.g. Important links and Important dates. Sector Manager: Post Graduation in Disaster Management/Climate Change Environmental Sciences/Development Studies/Environmental Engineering/Habitat Policy & Practices/Urban Planning/Sustainable Development, Masters in Social Work (with minimum 5 years of experience in Disaster Management). Knowledge of Computer and Microsoft Office is mandatory.